Product prices and availability are accurate as of 2019-04-01 22:30:20 EDT and are subject to change. Any price and availability information displayed on http://www.amazon.com/ at the time of purchase will apply to the purchase of this product. 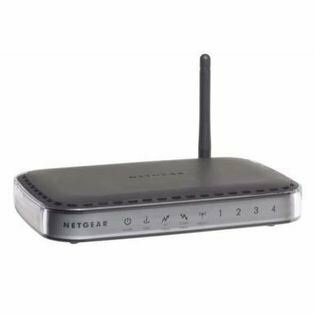 The Netgear CGD24G is a combination router and modem suitable for any home and office with four 10/100 Ethernet ports that can support up to 253 networked computers. Double firewall with stateful packet inspection (SPI) and NAT (Network Address Translation) secures your network against hackers. A built-in external antenna eliminates the need for a PC card, and the built-in 802.11g wireless access point extends a network to support up to 54 Mbps throughput without requiring any new cabling.